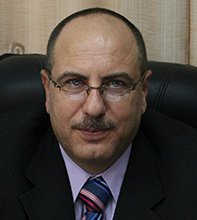 Issam Younis is the Director General of the Al Mezan Center for Human Rights. He is also a member of Gaza’s Al-Azhar University's Board of Trustees and Vice Chairman of the Board of the Gaza Community Mental Health Program. He received the Weimar Human Rights Award in 2008.